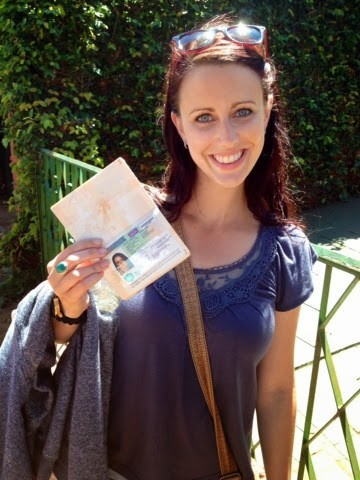 Here’s a few tips to hopefully make your Brazillian visa process stress free. I had lots of problems with mine but these could have easily been avoided! 1. Make sure you have all your required documents printed off and ready to go BEFORE you get to Puerto Iguazu. They have Internet cafés there but sometimes the internet is down or the printer is broken etc and it can get frustrating. 2. What are the required documents you say? 3. Give yourself at least two/ three days for the visa to be processed just in case. You don’t want to have to change your flights like I did if something goes wrong. 4. If you want your visa processed on the same day you submit it, go on a FRIDAY. It’s the only day they will do it. 5. The embassy is NOT open on weekends so make sure you plan around that. These tips are based on my own experiences. Hopefully your visa application goes smoothly and you’ll be on your way to Brazil in no time! Woohoo. Please note that the visas issued at Puerto Iguazu are only 90 days multiple entry. If you would like the usual 10 year visa you have to either apply for it whilst still in Australia, which involves posting your passport away or you have to apply at the Embassy in Buenos Aires which can sometimes have a two month wait just for an appointment. Plan ahead!